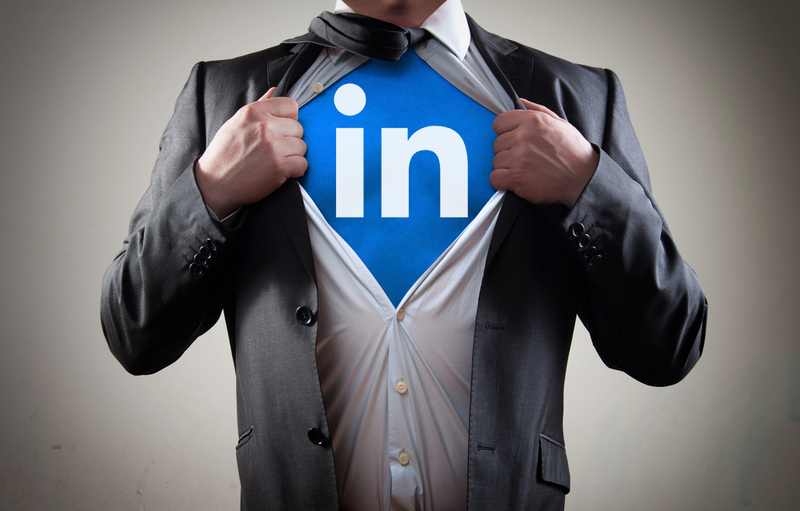 If LinkedIn isn’t an integral part of your business strategy, consider today an awakening. Boasting the highest ‘visitor-to-lead’ conversion rate out of any social platform, a new user every 2 seconds, and over 4 million company pages—LinkedIn exemplifies just how influential digital marketing has become. Businesses that fail to take advantage of LinkedIn’s robust capabilities and lucrative benefits do a major disservice to themselves. It’s hard to fathom why any business, no matter the industry, would choose to opt out of using the site. It’s a digital universe brimming with potential customers, engaging discussion, valuable content, and endless opportunities. Sure, you might have over 500 personal connections, hundreds of followers on your company page, update your professional summary every six months, publish a blog once a week, and occasionally “like” or comment on a recent post. There isn’t necessarily a right or wrong way to use LinkedIn, but there will always be a better way. If you’re looking to harness the power of LinkedIn or simply revisit your strategy or approach to marketing, this post will help guide your focus. LinkedIn’s Advance Search option is a wonderful feature you can use to pigeonhole exactly who it is you’re trying to reach. Whether you’re looking for an executive in the software industry, pinpointing someone that attended the University of Oregon, or trying to connect with a resident from Boise, Idaho—LinkedIn’s Advance Search gives you a powerfully specific tool to find your ideal customer. LinkedIn is more than just a platform for finding customers and growing your network—it’s a place to add value to people’s lives. When you send a “connection request” to prospects that are unfamiliar with you, make sure that your initial exchange validates the benefit of connecting with you. However, you don’t want to sound like a sales person when doing this. Ultimately, personal messages that demonstrate you took the time to learn about the person and highlight the specific benefits you can offer them, will give you a much greater chance to establish a meaningful connection, and create a potential business opportunity. The world is busy. You only have 8 seconds to make a good first impression; without a LinkedIn [personal] profile that immediately demonstrates your professionalism, social savviness, industry influence and experience, your “profile visitor” has already moved on. Your name should be consistent with your email signature, business card, company “team” page, etc. Your LinkedIn photo is your first impression. It’s also the first thing people consider when deciding whether or not to do business with you. Smile, and make sure you’re happy with the expression you choose to go with. The headshot should be no less than 60 percent of the frame. The background shouldn’t distract the viewer; the focus of the image should squarely be on you. Wear something that is flattering, professional, and compliments the background color/image. Your headshot should also look like you, so try to keep it within a five-year time frame. Avoid being ordinary and strive for the extraordinary. Besides your photo and name, this is the first thing visitors will learn about you. Your headline should be a mission statement; something that sums up your duty and professional purpose. Make it count! A customized URL makes you easier find, boosts your credibility (makes you seem tech-savvy, detailed-oriented, etc. ), and overall, gives your profile a more aesthetically pleasing look and feel. A customized URL is also better to put on business cards and email signatures. Jargon-laced terminology and overly-used buzzwords on your profile weaken how visitors interpret you. Also, this is how LinkedIn’s search algorithms ranks your profile. Use words that align with your industry and pinpoint your specialization in that field. Alerting your network that you’ve published a new blog or updated your job experience is great for gaining traction. However, notifying your network that you’ve joined a new group or added “lead generation” to your skill set is not. So, make sure to disable the notification bar for mundane changes such as these. A LinkedIn Company page is essentially a microcosm to your official website. However, company pages differ in that they give people a chance to see a different side of your business. It’s a place to show off your expertise and validate your influence as an industry leader; it’s a place to keep prospects and currents clients up-to-date with the happenings inside the walls of your business; it’s a place to add value into people’s lives with informative and interesting content published on your news feed; it’s a place to spotlight employee achievements and accolades, introduce your company to talented job-seekers, persuade consumers to take action, unveil new products, promote new events and contests, and so much more. Promoting your company page implies more than just providing a description, adding a banner of your logo and posting a job summary. Step inside the mind of your ideal customer and view your profile from their perspective. If your profile is bland and uninformative, people will interpret this as a metaphor of what your company is, or what it may be like to work with you. Feature a banner with an aesthetically pleasing, intriguing and informative value proposition. Encourage employees to connect with your company, which helps “digital word-to-mouth.” Your teammates and employees are your biggest brand ambassadors, and once they become affiliated with your company [on LinkedIn], you tap into each of their networks. Publish valuable, diverse content to your wall consistently; ask relevant questions, post industry insights, and best practices; share in-house achievements and press releases on product updates; etc. Humanize your company by featuring pictures inside the walls of your business. Visitors’ perception of your company changes when they’re able to associate your brand with a real, tangible space. The brain is a funny thing, so use this subtle strategy to your advantage. Ask to be recommended from users when setting up your company page. By default, LinkedIn will give you the option of whom to ask. Ask people who you know love your product or service, and don’t pressure those who don’t answer your request. Engage with your audience by responding to comments and questions on published posts. On LinkedIn, you can reply as an entity, so it’s important to stay professional and non-confrontational. However, you don’t want to sound robotic in your dialogue. Find that happy medium between professionalism and personality. LinkedIn Groups is a place where like-minded professionals can engage in meaningful discussion, ask hard-hitting questions, share ideas, publish blogs, videos, and infographics, promote webinars, recruit talent, and overall, gain a more well-rounded expertise of the industry. Think of it as attending an industry speaking event, conference or workshop, without actually going. There are over 2 million groups on LinkedIn, so that means you will be able to project yourself in continuous discussions tailored to your interests, profession, and niche market. LinkedIn Groups is also a wonderful opportunity to promote your business. However, because most LinkedIn Groups function as an informative-based environment, you shouldn’t be doing any hard-selling. Promoting your business on LinkedIn Groups takes a subtle approach such as commenting on posts and providing exclusive content. The goal here is to demonstrate your expertise. By doing so, people will [hopefully] visit your personal profile or company page to learn more about you and who you help. Your knowledge and experience are essentially being used as a magnet to attract potential prospects to your business. The more value you bring to the table; the more interest you create.